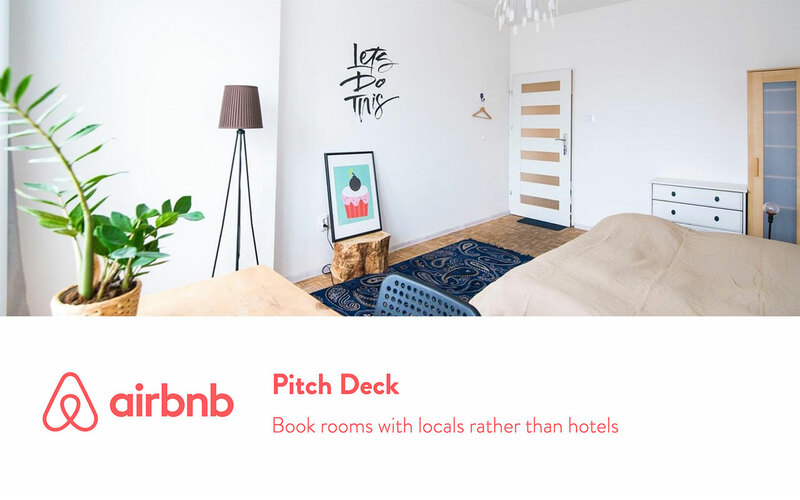 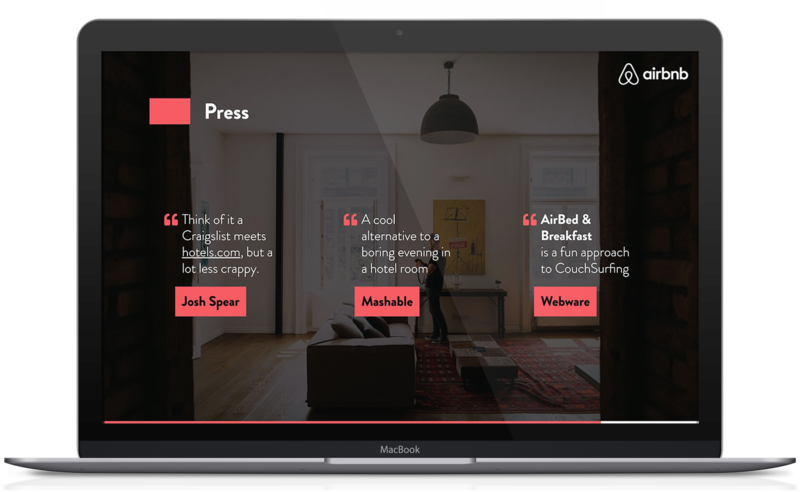 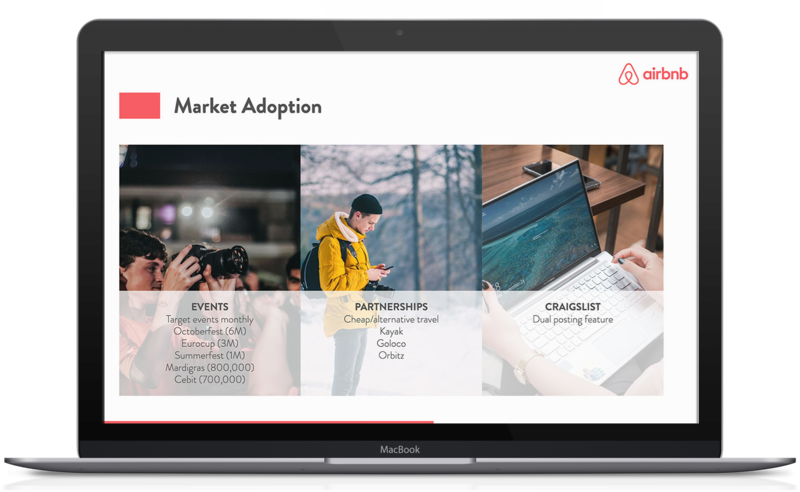 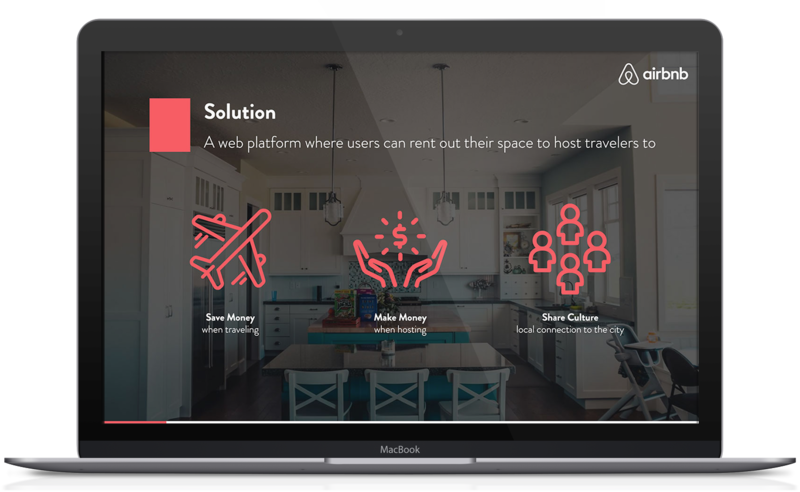 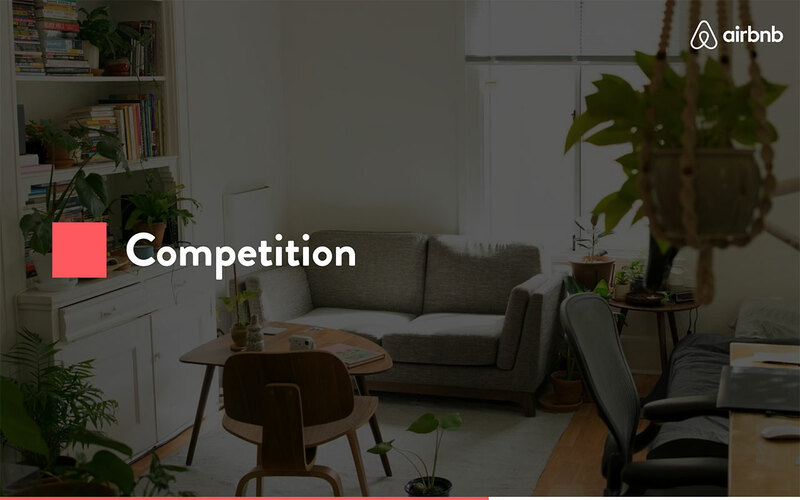 The Airbnb original deck from 2009 has become an increasingly popular reference for entrepreneurs around the world. 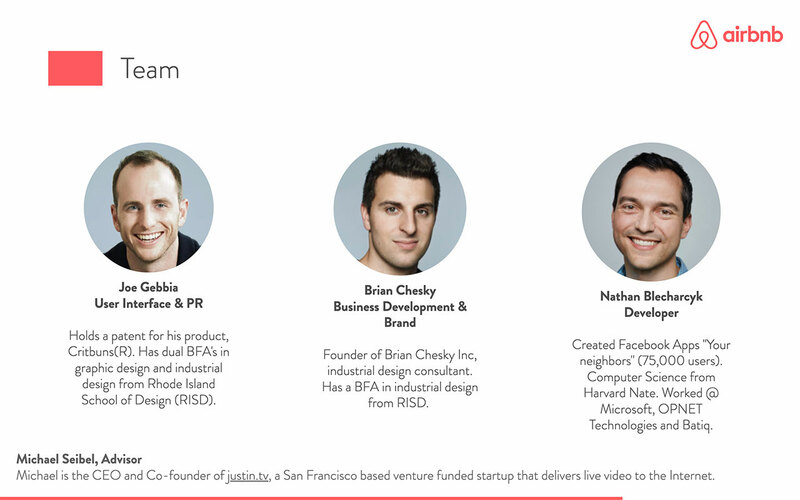 The company founders, Brian Chesky, Joe Gebbia and Nathan Blecharczyk used this pitch to raise $600K from Sequoia Capital and Y Ventures. The company has since become a giant in the Travel industry, closing a round in early 2015 on a valuation of over USD $20 Billion. 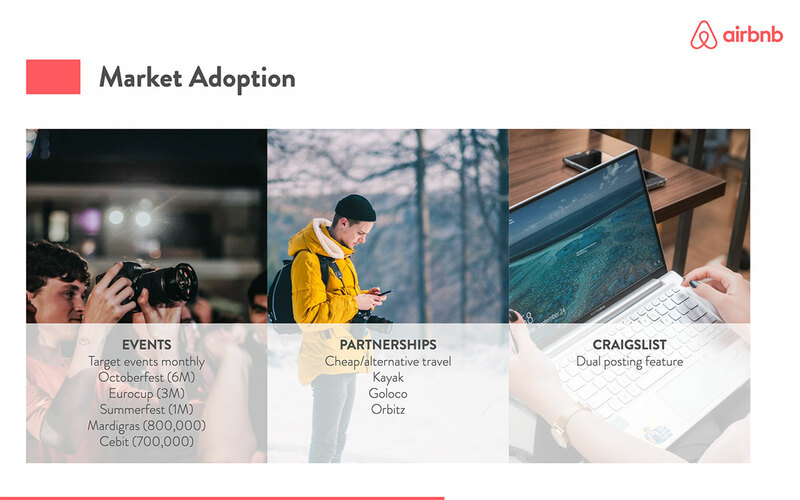 Originally recovered from a 2011 talk by Blecharczyk on Startup Bootcamp in Boston, we got a glimpse at the exact slides that they used to pitch investors on their original fundraise. 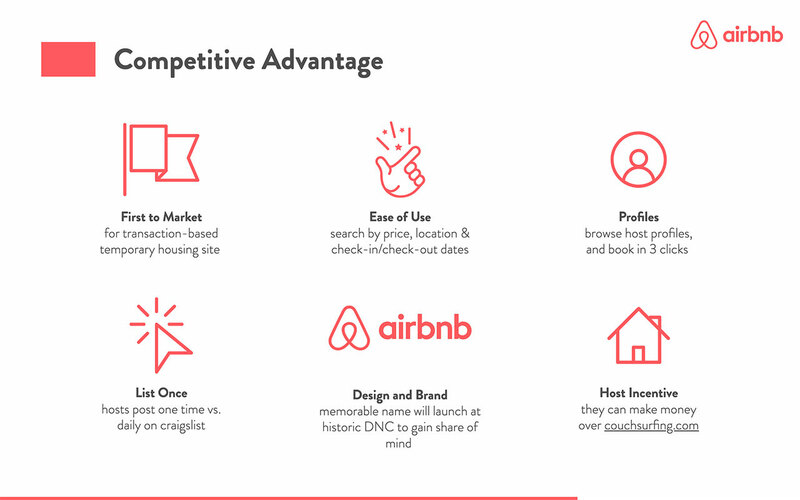 The deck was incredibly successful at summarizing the company vision and the huge market opportunity they had before them. 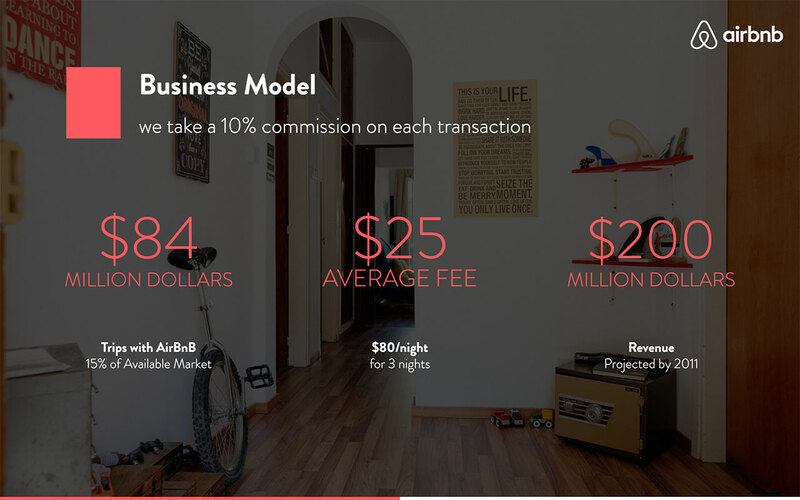 "We take a 10% commision on each transaction" explains the company's business model in a single line, it's perfect! 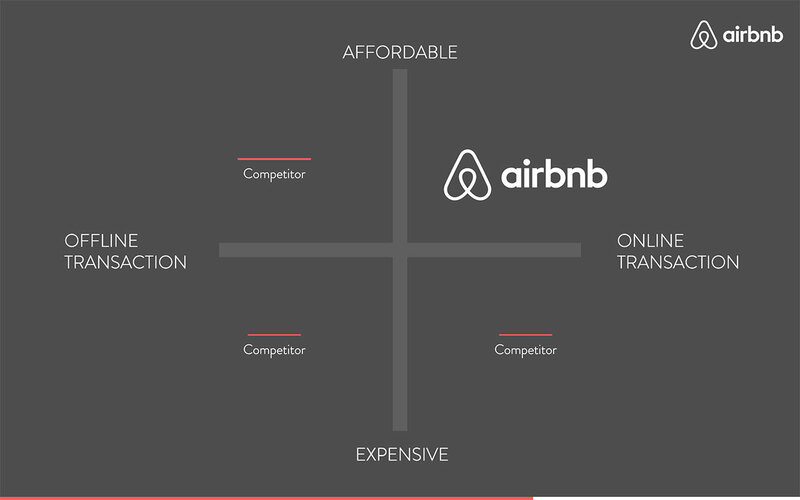 Your business model may be more complex than that, but always make sure that you can summarize it in a line. 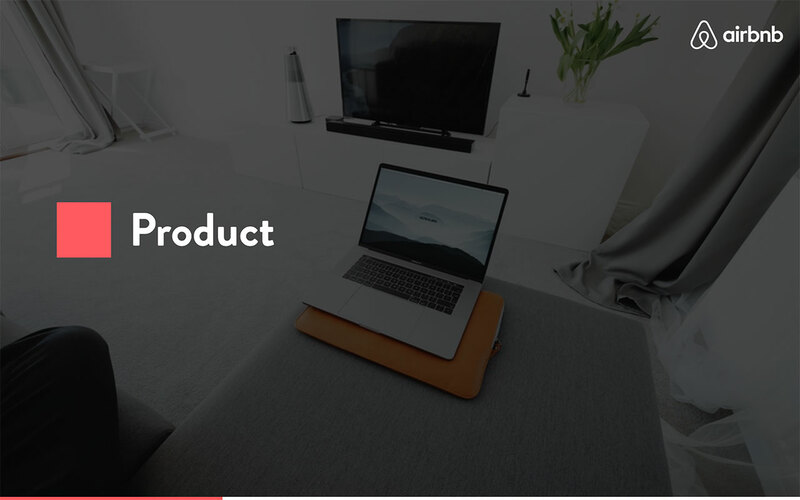 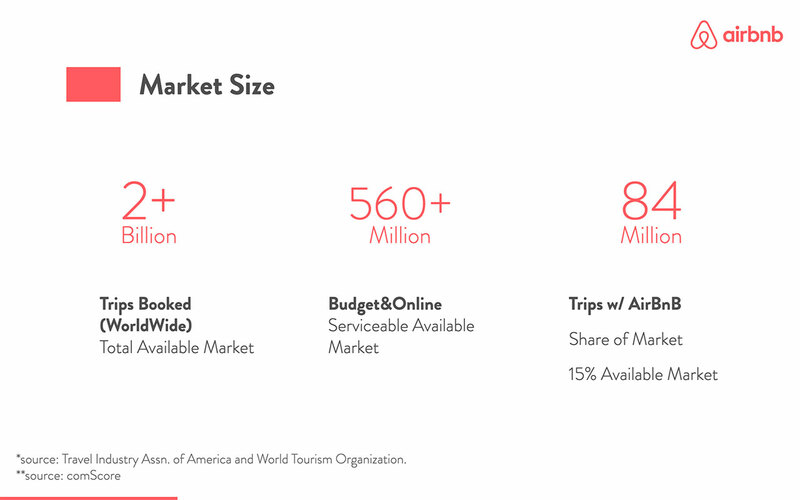 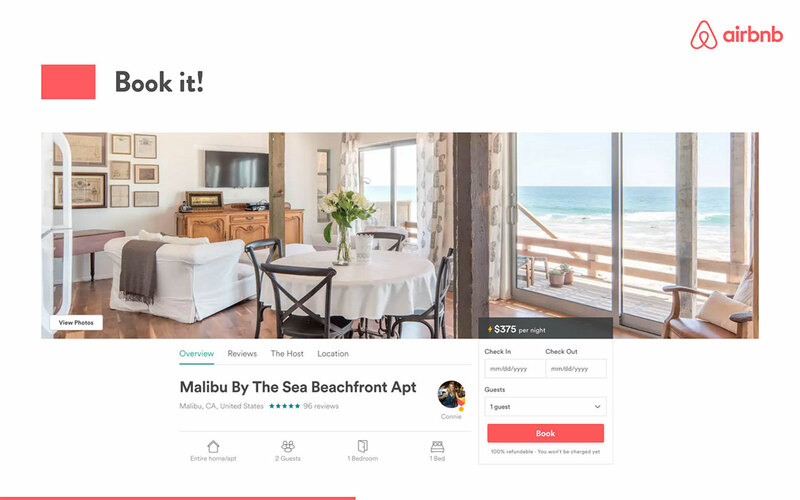 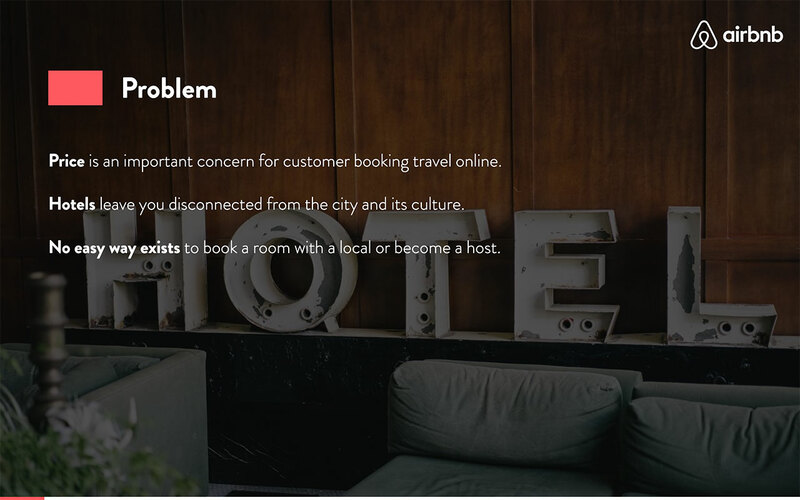 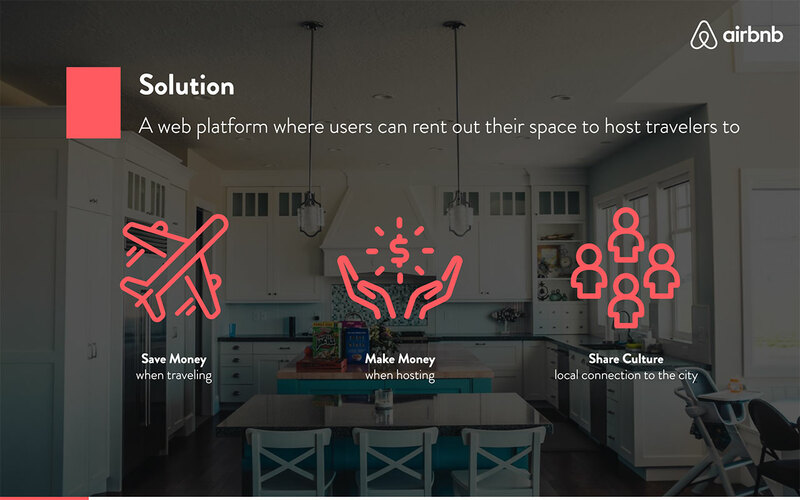 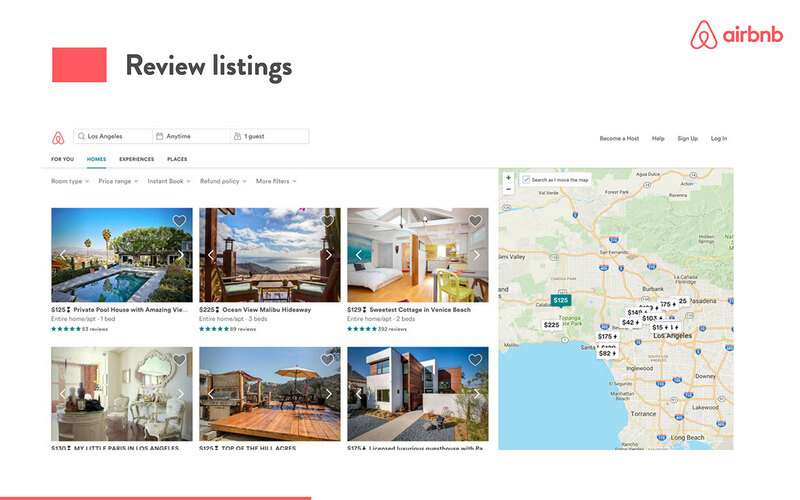 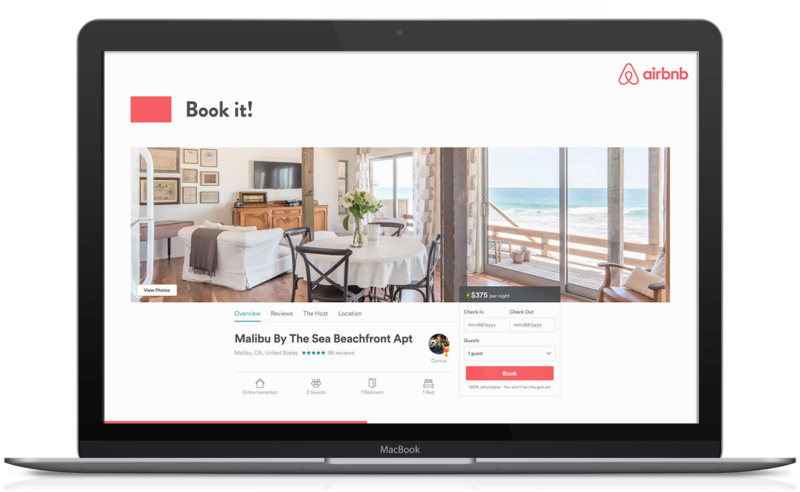 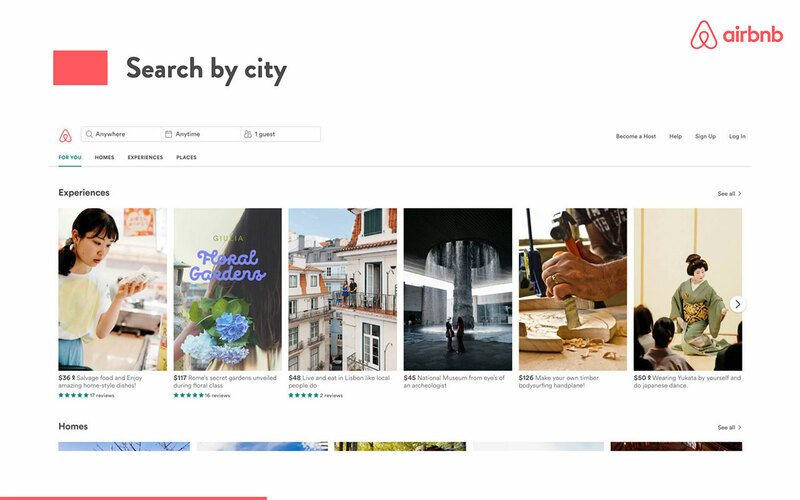 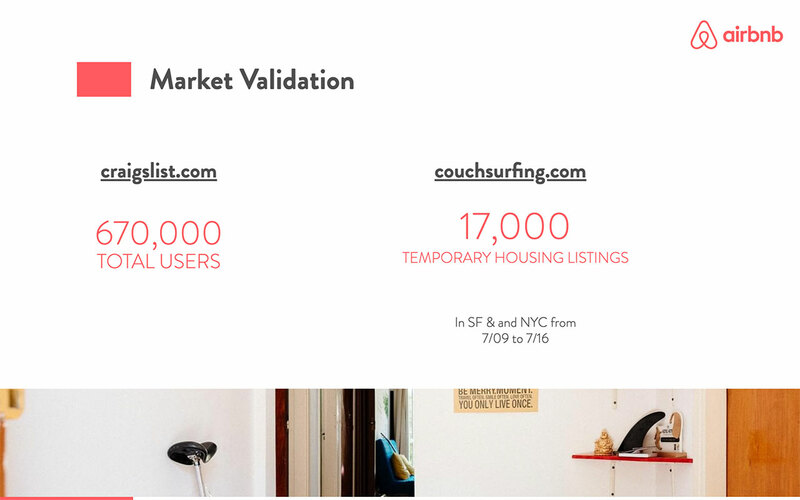 We believe this is the killer slide in Airbnb's pitch deck: it confirms their simple business model, the HUGE potential the company has in an existent market, and it defines the vision of the founders on where they expect this product to be in 3 years time.